This beautiful key shape designed pendant setting is made of 925 pure sterling silver (universal 925 symbol stamped) and weighs about 1.1gram, with no cz diamonds. It has a dimension of 5/8″ x 1 7/8″ (that is almost 2″). 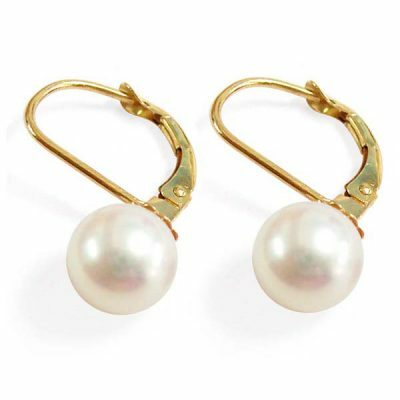 The pendant has a 5.5-6mm AAA quality real button pearl already set and comes with a large flexible hoop on the top so that you can put basically any kind of chain through. 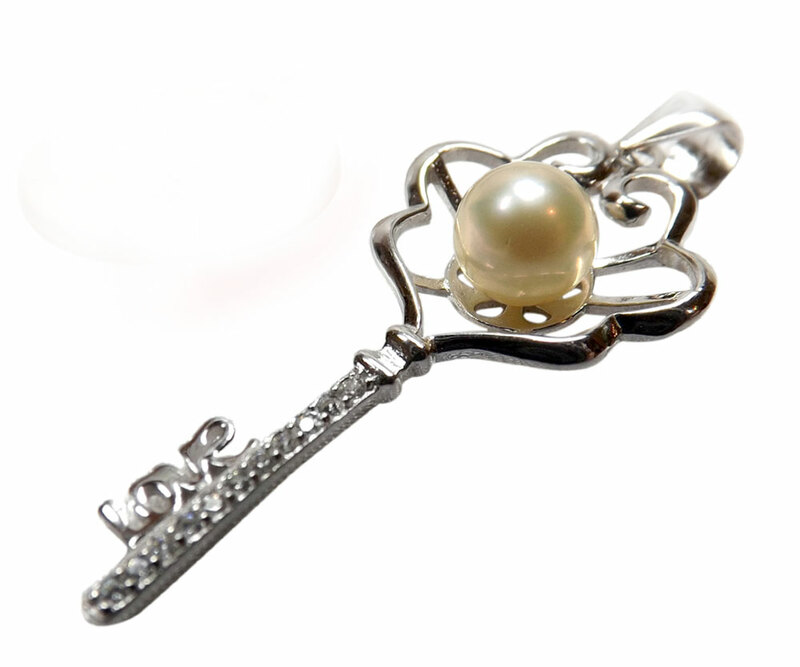 You can choose either as a pearl pendant or a pearl necklace, which will include a flexible 16″-17.5″ length of 925 sterling silver necklace box chain (ZSS20019) at a reduced price when you buy it with the pendant together. As with all of our sterling silver products, the setting has 18k white gold over the 925 pure sterling silver to keep it from tarnishing. 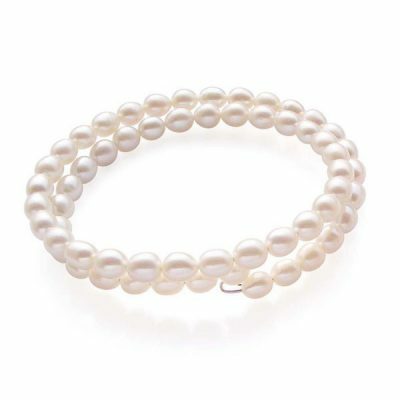 Four colors of the pearls are available for you to choose from: white, pink, lavender and black. 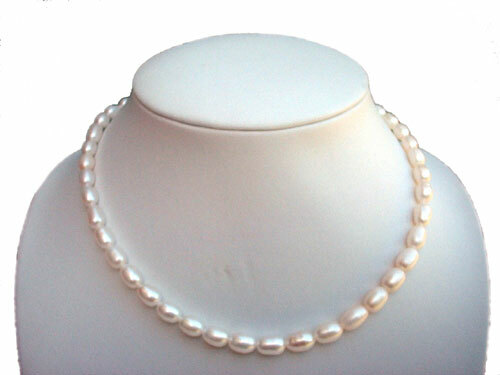 You can also choose from our huge selection of loose individual pearl and a sterling silver chain to get a complete look of your own.